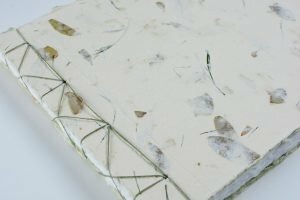 I recently completed a project for an Interweave publication called Handmade Books Cover to Cover that includes eleven bookmaking projects plus a bookbinding primer. 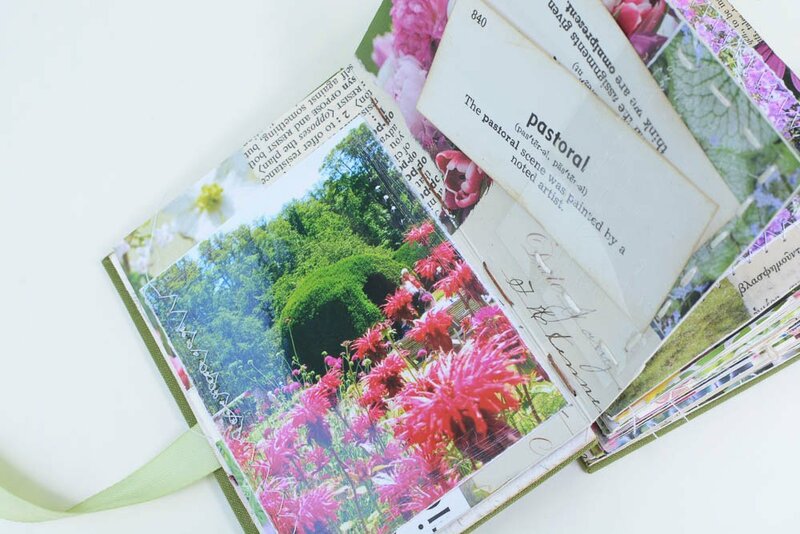 My project is called Garden Book and is a collaged celebration of English gardens. 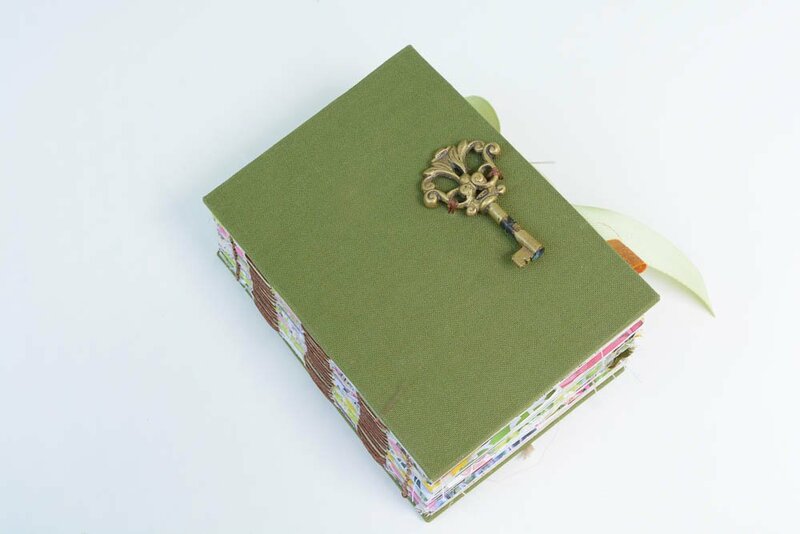 The hard cover is green book cloth embellished with a vintage key, the binding is ‘sewn over tapes’ and the pages are made from Stonehenge printmaking paper. 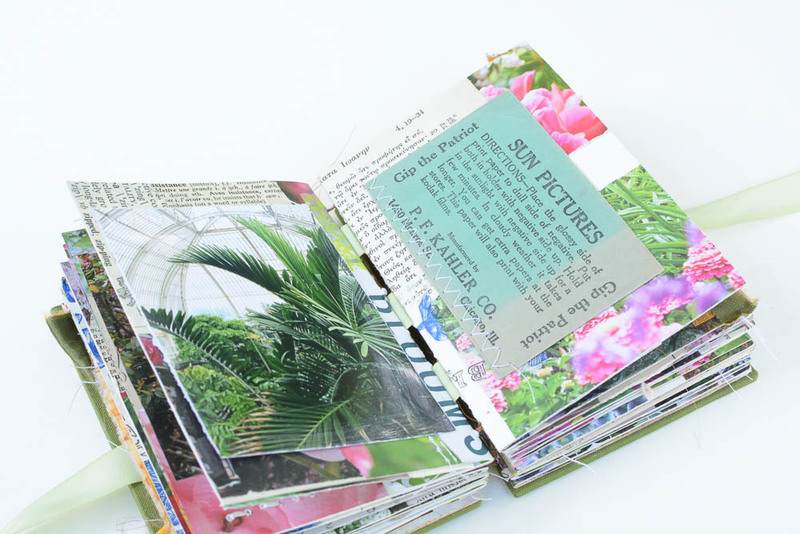 The pages are collaged with seed catalogues, vintage papers and my own photographs. I also included lots of pockets made from vellum, stamped transparencies, glassine and vintage envelopes. 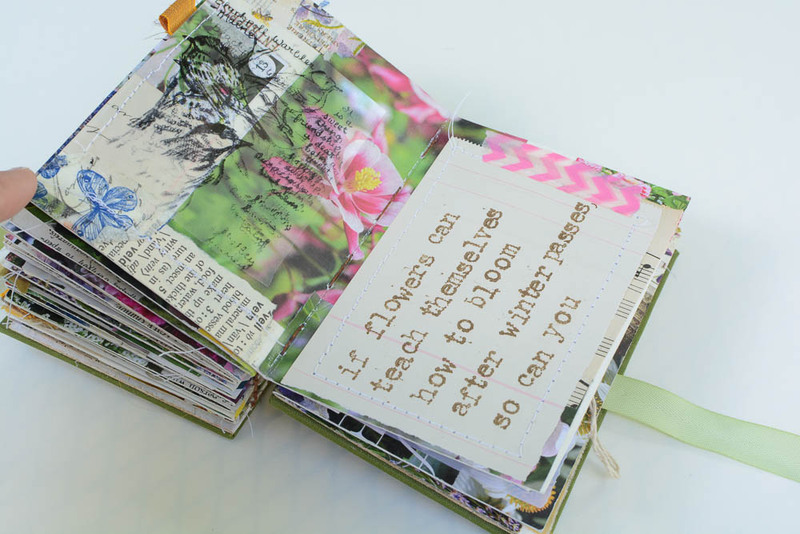 I also included scraps of fabric, vintage flash cards and garden related quotes. 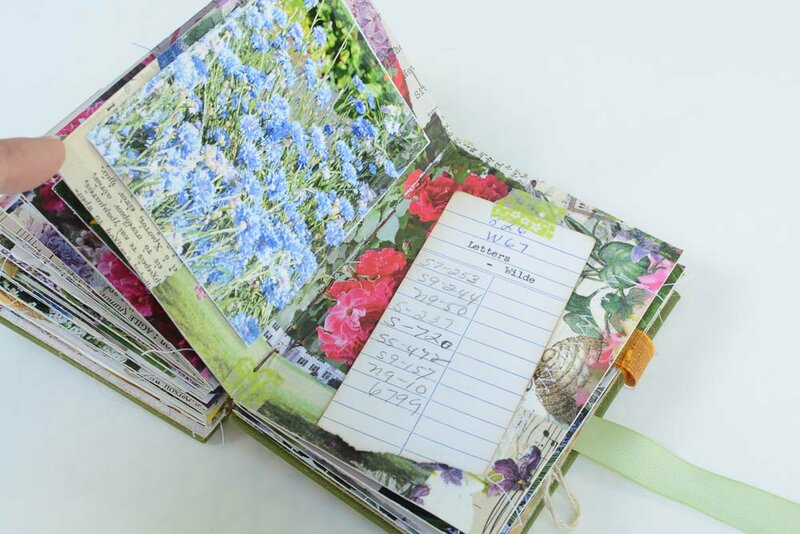 Full step by step instructions are in the book, which can be purchased from the Interweave website. I totally love this! I recently visited two beautiful English gardens and would love to do a similar project. May I ask where you found such great garden quotes? Thanks Sandra! I just collect quotes and these were in my stash. Feel free to use these ones. 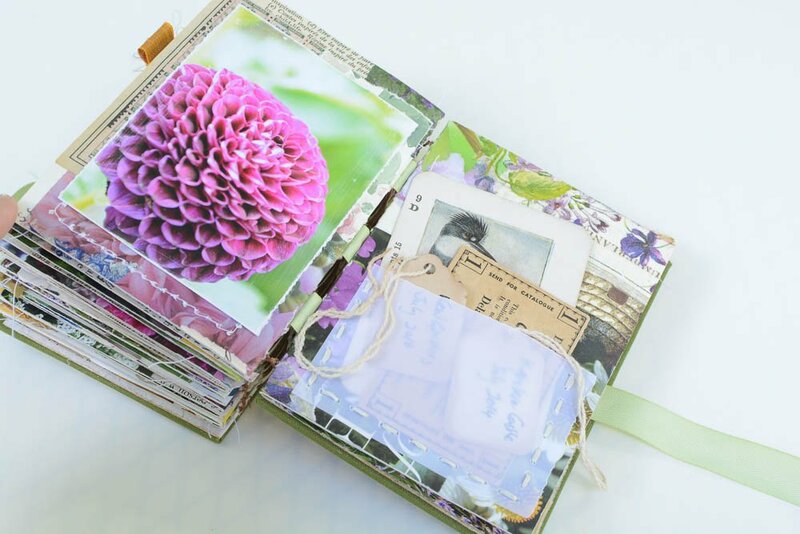 I love your work so much and would love to make a similar book with my collection of flower photos.I just bought your book and found the instructions very helpful. How wonderful !! 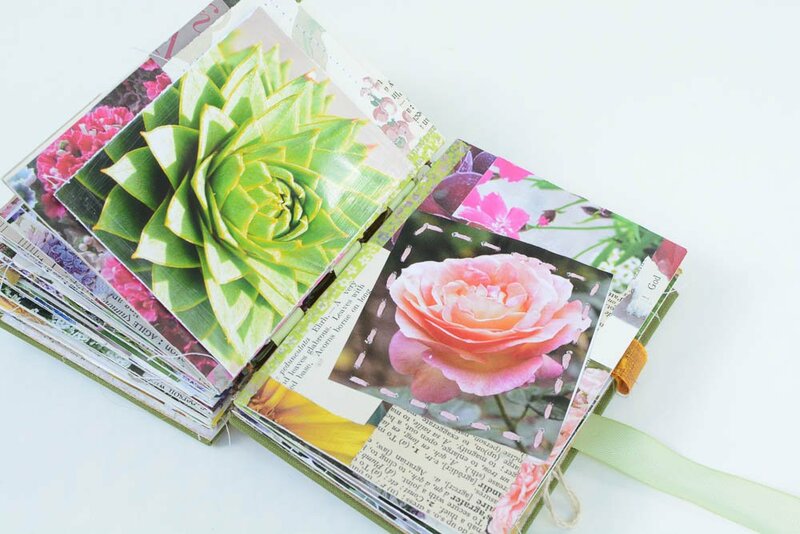 Such a beautiful book, love the sewn over tape binding. This is totally gorgeous. 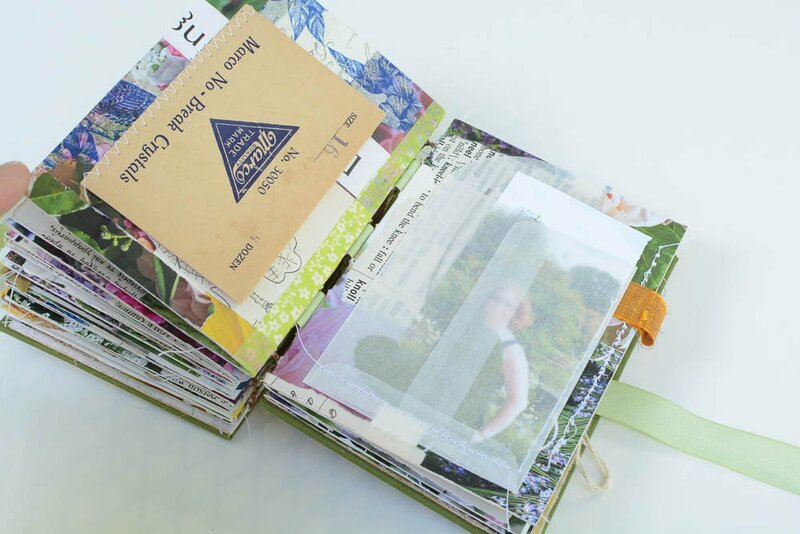 You’d be able to lose yourself in all these pages, no problem. So much to enjoy. Beautiful! I just came across your work through a magazine and fell head over heels. 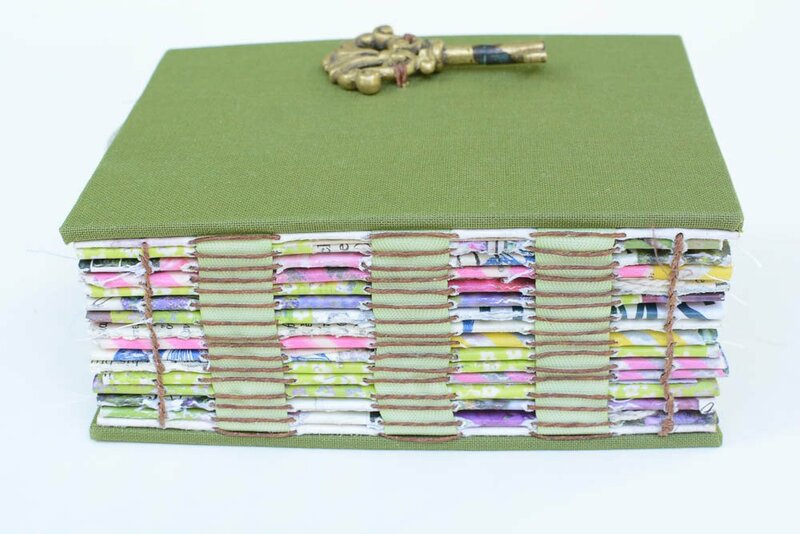 I have only hand stitched one binding and it was a complete disaster as I use a Japanese Screw Punch and didn’t pay attention enough. It held together however it is pretty ugly. Absolutely love your book, both the pages and how the binding looks from the side! 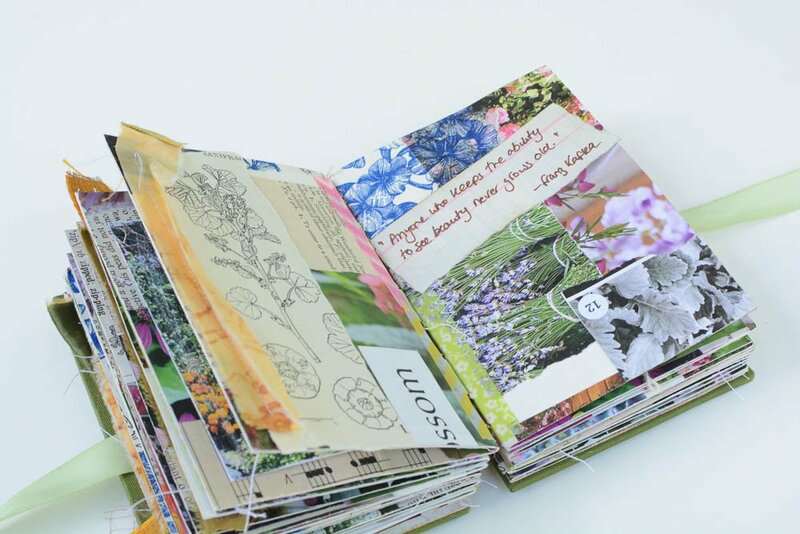 Very inspiring for both gardening and book making! Thanks for sharing!